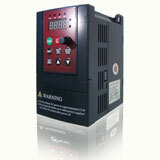 When do we use isolated power supply for driving each 6 IGBTs in an inverter? Some applications use bootstrap method which is not isolated. Using 6 isolated power supplies for an inverter with some extra peripherals may increase the overall cost. So, how should we choose which method to use by considering both performance and cost? 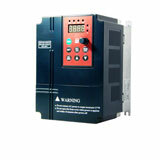 Generally, which method is used in industrial application such as VFD or UPS from 1hp to 100hp? - If we want to use bootstrap for high side drivers and reduce the cost. The startup circuit must support bootstrap powering. Startup procedure could be a bit more complicate in this case. Startup sequence should assume particular delays and so on. Most probably protection recovering procedure will be similar to startup procedure and a bit more complicate than general one. - If we have really high current in inverter the bootstrap can suffer with parasitic inductors and di/dt. - If we have really high power the total cost is getting high enough to ignore potential cost issue with aux dedicated power supply for drivers. Btw, di/dt and dv/dt are getting high in the case too. At the end it is trade of taking little additional care about potential problem or accepting extra cost. One benefit of IGBTs is that they can be designed to survive a direct short-circuit across the bus, for several microseconds (Short Circuit SOA capability), versus Superjunction FETs do not have this capability.